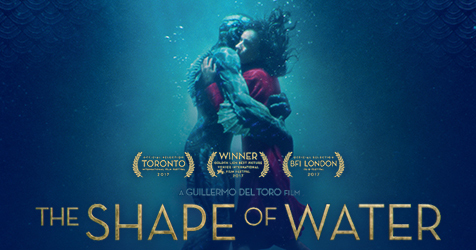 The Shape of Water is a 2017 American romantic dark-fantasy drama film directed by Guillermo del Toro and written by del Toro and Vanessa Taylor. It won both the Best Picture and Best Director Oscar, so we know we’re in for a treat. Elisa is a mute, isolated woman who works as a cleaning lady in a hidden, high-security government laboratory in 1962 Baltimore. Her life changes forever when she discovers the lab’s classified secret; a mysterious, scaled creature from South America that lives in a water tank. As Elisa develops a unique bond with her new friend, she soon learns that its fate and very survival lies in the hands of a hostile government agent and a marine biologist.